Westwood Lodge Farm is the home of an architectural salvage company - “Suffolk Reclamation”. The owner was kind enough to show me round his two Tudor barns and the amazing gatehouse he has built in the style of an Elizabethan manor entrance. The barns are post and truss construction with clay tile roofs. Inside they are unaisled with timber knees reinforcing the joint between post and tie-beam. 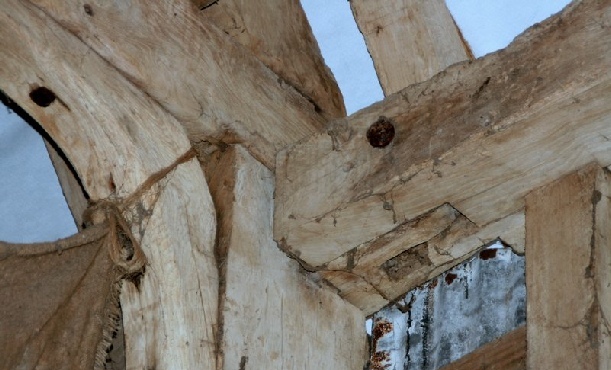 I have seen similar joints in barns of this period in Essex and Suffolk.